We're here at CES 2015! We've got feet on the ground here in surprisingly chilly Las Vegas, Nevada, ready to provide you with everything CES 2015. And just what can you expect from the mother of all electronics shows? Highlights of this year's show will be the debut of a line of "nextbooks" (essentially 2-in-1 Android, Windows hybrids), 4K OLED TVs powered by Quantum Dot technology, and the next generation of wearables - some will even play nicely with your set of wheels. Speaking of, expect seamless car-phone integration to be a major talking point. Gamers should be on the lookout for a few eye-tracking peripherals that hope to up your game, while DIY-ers can expect tons of affordable 3D printers to be on display. All that plus plenty of Home Automation devices and the words "Internet of Things" to be said roughly one-thousand times. 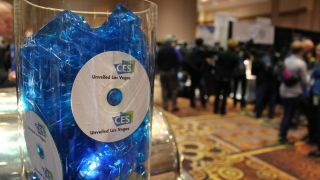 TechRadar will be in Vegas all week long so keep checking back for the latest CES 2015 news. Techradar's coverage of the future of tech at CES 2015 LIVE is brought to you courtesy of Currys PC World. Keep up to date with all the latest tech at Currys here.